A wise man once said, “If you run in front of a car, you’ll get tired, and if you run behind a car, you’ll get exhausted. 1. No wheels exist in nature? Most inventions and innovations that we possess came about from observing the nature. For example, aeroplanes came about from imitating birds but the wheel is a completely human invention. The closest natural organism is the creatures that use rolling as a form of locomotion like dung beetles. 2. The wheel came pretty late? Most people think that the invention of the wheel was the second thing that man created but other significant inventions came first such as sewing needles, woven cloth, and even the flute. 3. The first wheels were not used for transportation? 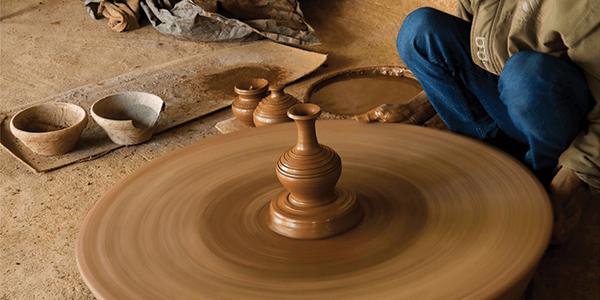 The oldest wheel in the world that has been discovered was dated back 3500BC in Mesopotamia and was a potter’s wheel. The oldest record of the wheel being used in transportation was almost 300 years later on chariots. 4. Wheels are found everywhere? From your watch to the biggest engines to computer disk drives, wheels are a part of all these creations and continue to be an integral part in all mechanized inventions. 5. Between the 2nd and 6th century in Africa and the Middle East, camels were more efficient modes of transport than the wheel? Some of the reasons people cited were because of the lack of roads after the fall of Rome and the invention of the camel saddle between 500 to 1000BC. In terms of transportation, the early humans discovered that heavy objects such as large stones could be more easily moved if something round was placed under the object and rolled over it. However, the problem was that many rollers were required and the transporters needed to be careful that the rollers stayed true. The next innovation came about when humans realized that using a sledge, logs or sticks placed under an object made transportation even easier. Then, the two were combined, using a sledge over log rollers. The innovation that revolutionized the use of the wheel was the creation of the axle and wheel. Primitive axles were first discovered when the sledges started to wear grooves into the rollers which made the system function even better, carrying the object further. However, the wheel and axle as we know it today was only invented much later due to the difficulty of figuring out how to connect a stable, stationary platform to the wheel. The ends of the axle needed to be completely smooth and round, and fit perfectly into the holes in the center of the wheel or the wheel simply would not turn. Further improvements made the axle fixed and attached solidly to the cart, but with wheels that rotated. This allowed for stable carts that could corner better. Other innovations in the development of the wheel included the addition of spokes in Egyptian chariots in 2000BC, reducing the resources needed and looking more appealing. In 1000BC, the Celts added iron rims around their wheels increasing durability and appeal. 1802 heralded the first wire tension spoked wheel. For cars, the first pneumatic tire was patented in 1845 and further developed in 1888 by a name we may recognize, John Dunlop (a Scottish veterinarian), into the initial form of the wheel as we know it today. Welded steel spokes and carbon rubber tires further enhanced the wheel and tire.